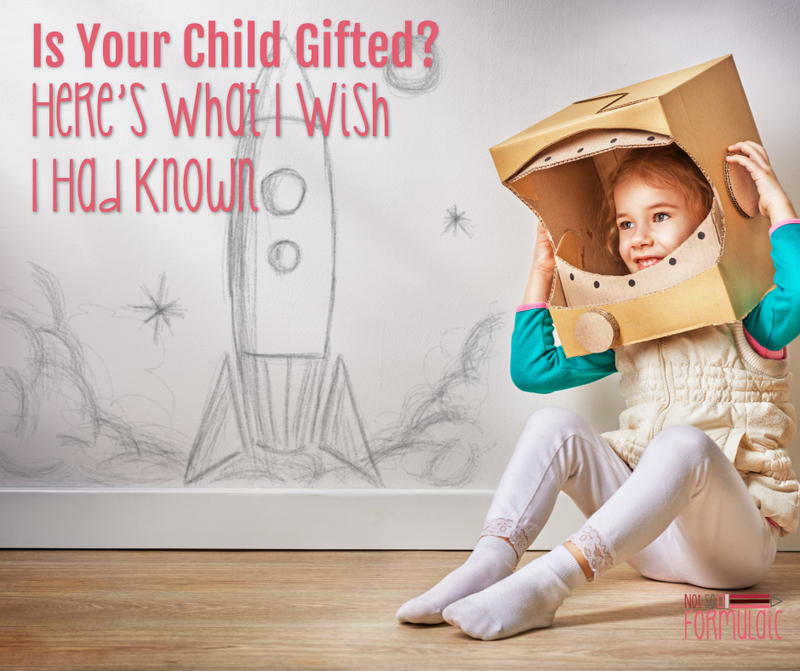 Is your child gifted? It’s not the experience the world claims it will be. Here’s what you need to know when you’re raising a gifted child. You had a gut feeling, didn’t you? Maybe it was the way she looked at you when she was born or the words that came before her first birthday. Were you tipped off by shape and pattern recognition at 13 months? Was it the simple math functions she could do before walking? Or was it later, when she was the toddler on the playground, interpreting adult behaviors you hadn’t even noticed yourself? At some point in your child’s development, there was a moment when you just knew. But you second-guessed and you worried and you wrote it off as parental bias – until you couldn’t ignore it anymore. So now you have the test results. You have numbers and statistics and stanines and reports. 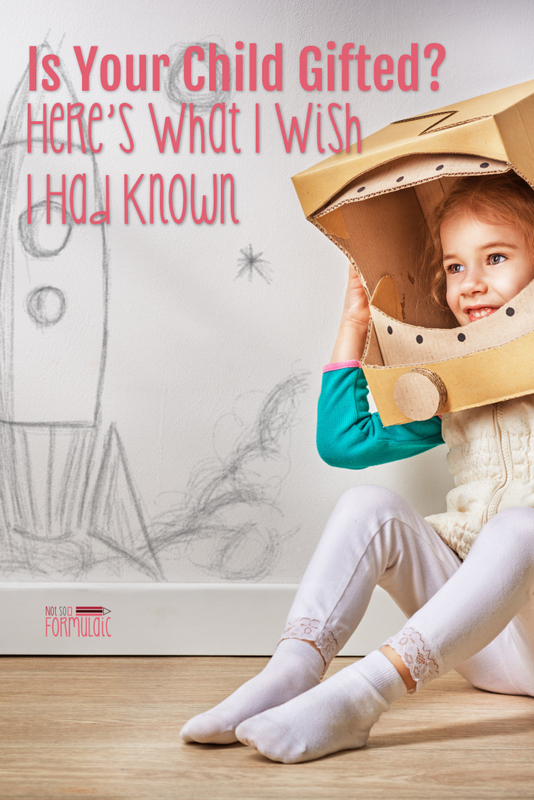 You’ve got confirmation – your kiddo is gifted. Here’s what I wish I’d known in your shoes. Two weeks after the testing was over, I stood next to a friend at a neighborhood barbecue. She knew about the evaluation process and asked how things were going. The question was, did I want her to know the truth? Society has an obsession with giftedness. While those of us who live it know it’s neither a matter of superiority nor high achievement, large-scale educational models and perceptions fuel that attitude. I worried those I spoke to would consider me a braggart; I broke out in a sweat every time the topic came up. It wasn’t often, admittedly, but the emotion was raw enough to help me see I had some issues. I knew I had to work a few things out. Eventually, I learned I didn’t have to be ashamed of my children. My insecurities faded once I saw our story as an opportunity for education, not a boast. Providing gentle guidance on the true nature of giftedness would be a service. 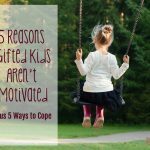 I could do my small part to change the perception of gifted kids. As if the fear of offending people wasn’t enough, I struggled with impostor syndrome. Was I making this up? Was she not really gifted? Was I using her neurodivergence as an excuse for behavior issues she had? Of course, I wasn’t, and deep down I understood that. I had to actively remove that line of thinking from my life. The reality of giftedness and its joys and pitfalls had to be taken at face value. I had to shut out the self-defeating voices and focus on loving my kids. Part of my impostor feelings came from years of classroom teaching. I had rather strong opinions about what giftedness looked like. Since I knew nothing about sensitivities or asynchronous development, I wrote off accompanying behaviors as laziness or disrespect. Then we had our oldest. I thought she’d be the top student in every subject. I thought the teachers would love her and her classmates would as well. My expectations weren’t just wrong, they were damaging. I kept her in a difficult school situation when I should have pulled her out. The truth is, I expected adult behavior. With so much intellect I forgot she was a child. When she had none to give I grew angry and resentful. My expectations nearly destroyed our relationship, and it took a long time to get back on track as mother and daughter. You’ve probably figured it out by now, but gifted parenting is not a breeze. It’s mountains and valleys and deserts and rivers and everything in between. There will be days when you’re in awe of the child you’ve been given. There will be days when you just want to hide under the covers and cry. There will be aspects of this life you neither expected nor wanted. That’s why you need to know everything about the child you’ve got. Giftedness is a unique constellation of wiring in the brain. It often occurs with a comorbid diagnosis of a learning difference or developmental delay. 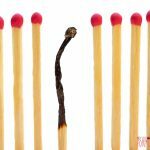 We have three twice-exceptional children, and at first, I was devastated by the news. I wanted normal children. I didn’t want to deal with IEPs or therapists. And then I felt awful for even thinking those things. We are human, friends, and it’s okay to feel some trepidation. It is okay to feel sad and want to grieve. I learned to let those feelings run their course and get back to business as usual. My kids were the same people they were before their diagnosis. Only my perception had changed. Gifted kids need structure. They also need room to move and explore. For a long time, I only honored the first need. 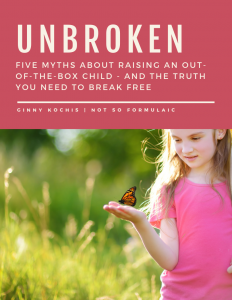 My kids were frustrated, resentful, and overwhelmed, and frankly, so was I. It took a rough year at our homeschool co-op to bring about an epiphany. I stopped trying to force what I thought we should do. I built a curriculum around their learning styles and passions with the help of valuable resources. We learned to embrace the rabbit hole mentality and use their natural interests as a starting point instead. 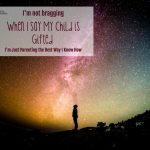 When I look back at my decade of gifted parenting, there are a lot of things I wish I had known. But in hindsight, I realize we had to grow together. We had to discover these mountains and valleys on our own. If you are at the start of your gifted journey, know it will not be without strife. You and your children will emerge stronger in the long run, however. Just remember they are the children you were destined to have. We Don’t’ Need to Rethink Giftedness. We Need to Rethink School. 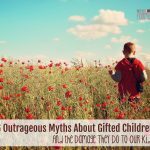 Gifted Children Do Exist. Here’s What Happens When We Deny It. Great article! I would also recommend the Belin-Blank Center for Gifted Education and Child Development (www.belinblank.org), and the Acceleration Institute (http://accelerationinstitute.org/). Both have great resources! Thanks! I’d not heard of these previously. 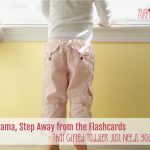 Thank you for this post (and your other posts about gifted toddlers!). They really speak to me and my situation. I was a gifted child and can relate to being simultaneously bored out of my mind and overstimulated at school! As a parent, I see a lot of the signs of having a gifted toddler you mention. Sometimes I fall into the comparison trap and I feel like I’m failing as a mom…but then I realize that other children are just that different from mine and she takes an entirely different level of attention and energy! Great overview of the gifted parenting experience. Most people who are unfamiliar with it have little appreciation of how complicated it is. Thanks for sharing your wisdom about this. Hi. I found the article very helpful. I’m currently in the beginning of my journey with my gifted toddler. He has sensory only eats 3 foods. 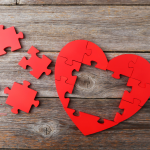 Can you tell a little bit more about the sensory part? Has she gotten better as she got older. I’m struggling with the lack of him eating. I know I have a lot to learn. Thank you for sharing. Hi Christel. I have a few other posts on this topic. I can send you links via email if you’d like – just let me know. The short answer is yes, she has gotten better. She still has safe foods and she might for the rest of her life. She will now wear jeans and functions much better in a classroom. OT was super helpful.